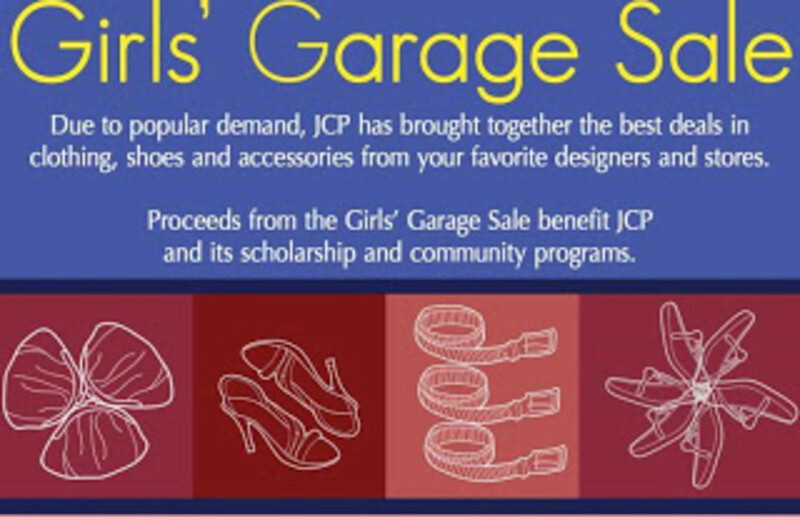 The JCP Girls' Garage Sale is Back! Due to popular demand, JCP has brought together the best deals in clothing, shoes, and accessories from your favorite designers and stores. This week you can snap up savings on all the brands you love. Deeply discounted (50%-95% off retail value). Designers Include: Alaia, Balenciaga, Catherine Malandrino, Calypso, Carlos Falci, Chanel, Dior, French Connection, Giambattisti Valli, Givenchy, Gucci, Hermes, Jimmy Choo, Lanvin, Loro Piana, Louis Vuitton, Marc Jacobs, Marni, Michael Kors, Min Lee, Miu Miu, Monolo Blahnik, Prada, Proenza Schouler, Philip Lim 3.1, Richard Ruiz, Steven Alan, Tod&apos;s, Tory Burch, Vince. PLUS Children&apos;s Clothing for infants - 6 years old and Selective Menswear. Proceeds from the Sale benefit JCP and its scholarship and community programs.